I recently attended a Green Drinks NYC event at Resource Furniture in Midtown Manhattan that featured Graham Hill talking about his LifeEdited project.The ethos of the project is that for some of us "Less is More." We can consume less, live with fewer things, exist in less space and still be happy, all the while helping the environment. I was lucky enough to interview Graham in SoHo the day after meeting up at the Green Drinks NYC event. Check out the video below this post. We spoke on his doorstep while Fast Company was inside his LifeEdited apartment conducting a photo shoot. The LifeEdited project began with the clever renovation of a studio apartment in downtown Manhattan undertaken by the LifeEdited team. A small, non-descript space was transformed into a multi-functional setting adaptable for use as office/work, entertainment and/or living space. Graham recently penned an article entitled "Living With Less, A Lot Less" about LifeEdited for the New York Times. So, if you want to know more about this subject, check out the article. 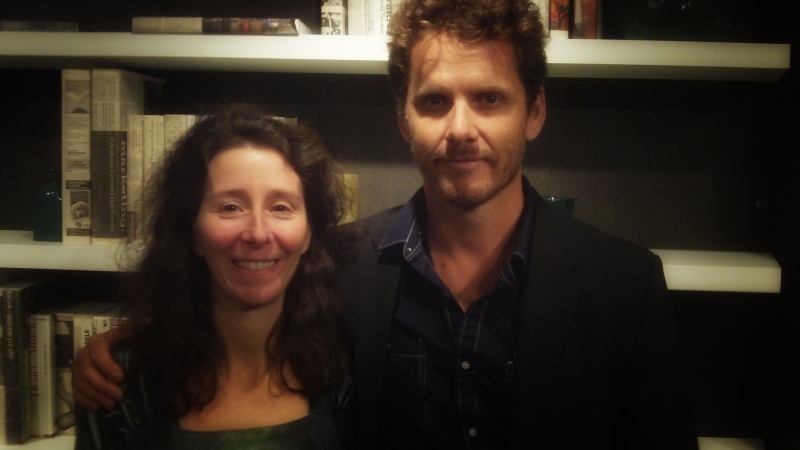 Stefanie Spear, founder of EcoWatch, also attended the recent Green Drinks NYC event and I introduced her to Graham Hill. I plan to do a joint interview with these two environmental mavens so look out for the video of a Stefanie and Graham dialog in a future post.